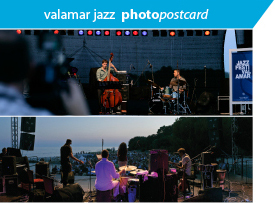 The fourth Valamar Jazz Festival will be held on several locations in Poreč, on the stages situated in the authentic natural and historical setting of this true Istrian gem. The main program concerts will be performed on the Island of Sveti Nikola and in the Euphrasian Basilica – the unique cultural and historical monument. Jam sessions and after party will take place in Villa Polesini, while the sounds of jazz will be heard from the city streets and bars. Our hosts and sponsors, Riviera Poreč and Valamar Group, have prepared attractive touristic packages to make sure that your pleasure in music is parallelled with the top hotel and catering service. This exclusive offer can be found at www.valamar.com/jazz-festival. Valamar Jazz Festival audience and guests have at their disposal numerous other restaurants and accomodation facilities of Valamar Group, from hotels, through apartments to camps, adjusted to all tastes and pockets. If you are intrested, visit www.valamar.com/accommodation.